Sonny Blake cries when he meets Santa on Instagram. Sonny Blake is every toddler when meeting Santa. I’m about to make a big call. There’s something about those gorgeous peach-like cheeks and adorable smile that make you want to give his photos a big old ‘like’. See? Image via @zoetheysay Instagram. But like all toddlers, Sonny is as susceptible to his off moments as any other 19-month-old. And it appears meeting a man disguised as Santa in a big red suit was poor Sonny&apos;s breaking point. 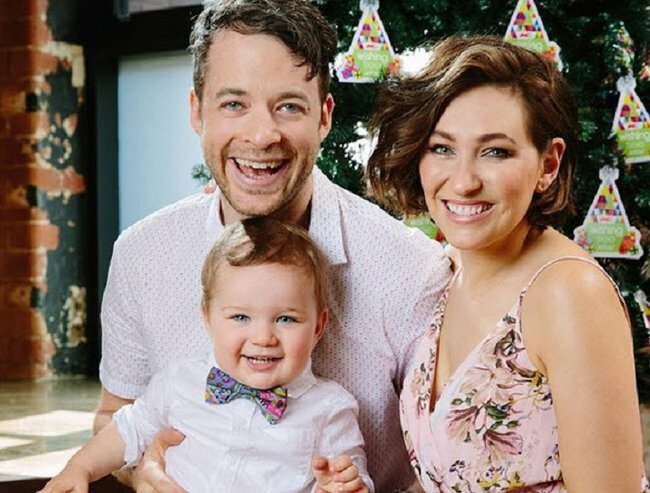 And when your parents are funny-man Hamish Blake and amazing writer turned skin care creator Zoe Foster Blake, well of course the whole ordeal is going to be played out on Instagram. Smiling now, not smiling later... Image via @zoetheysay Instagram. Zoe Foster Blake shared a photo of Sonny freaking out when he met Santa and perfectly captioned it with, "Successmas!" Poor Sonny. Image via @zoetheysay Instagram. Oh dear. Too funny. Thanks for the laughs as usual, Sonny. How did your kids go with Santa this year?